According to current market research conducted by the Digital Journal, aesthetic facial injectables are projected to reach $5.8 billion by the year 2024. The reasons for their popularity include availability, safety, and social acceptability. Today, it seems like every other licensed medical professional is offering BOTOX® Cosmetic and dermal filler injections. While the availability to the consumer has grown, so has the risk for getting poor treatment from an inexperienced injector. Even though a doctor or licensed provider is injecting patients, he or she may not have the experience and practice needed to do it well. It is extremely sad to hear of stories where physicians, and even dentists, are injecting BOTOX® Cosmetic and fillers under the guise of being an “expert” simply because of their medical credentials. A medical degree or license does not necessarily make for a good aesthetic injector. Specialized education in facial muscles and nerve anatomy, training under careful supervision, and hundreds of hours of practice are all required to achieve a trustworthy level of expertise. Always check to make sure that your injector has met all of the above qualifications before allowing yourself to be injected. The side effects that can occur with an inexperienced provider are not worth it! FDA-approved neurotoxins and dermal fillers have undergone a rigorous testing process to ensure their safety for use in humans. These substances are known to be safe when injected properly, which includes the ability to provide aesthetic results within an acceptable number of side effects in some individuals. Always educate yourself on the potential side effects and complications of the products you plan to be injected with. Some are minor (redness and swelling at the injection site), while others can be life threatening (trouble breathing). For products currently on the market, the percentage of time that a complication or serious side effect arises is within acceptable limits such that the FDA has deemed them safe. Years ago, the few products that were on the market were not widely accepted as options for preserving one’s youthful look. Today, neurotoxins to relax facial muscles and dermal fillers to smooth away wrinkles are commonplace. Social media, magazines, and television all have a lot to do with the social acceptability of these cosmetic procedures. It is not uncommon to see celebrities and popular social media icons showing off their new lip plumping, areas treated with BOTOX® Cosmetic, and the reduction of deep creases from filler injections. These days, you can expect compliments instead of criticism for seeking out aesthetic injections to help boost confidence in your appearance. James Christian Sardelli, RPA-C, founded James Christian Cosmetics over a decade ago. His years of experience, gentle treatment techniques, and undeniable results speak for themselves. It’s no wonder why hundreds of clients meet with him each month to beautify themselves and receive cosmetic treatments. Contact any of his offices today to book your personal appointment with James. 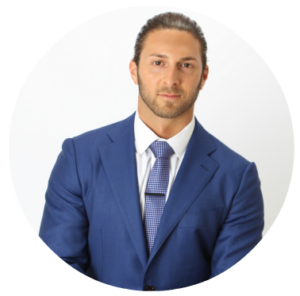 He has locations in Suffolk and Nassau County and beyond including the five boroughs, Long Island, Commack, West Sayville, Farmingdale, Westhampton Beach, Manhattan, Rockville Centre, and Babylon. Call him today at (917) 860-3113.